Reducing Emissions from Deforestation and Forest Degradation (REDD+) is a voluntary international initiative to reduce greenhouse gas emissions from deforestation and forest degradation and to promote conservation and sustainable management of forests. It has significant implications for tenure rights, including for women. Although women use forests to support their own as well as their families’ livelihoods, they are frequently overlooked as key stakeholders. Women often face discrimination in resource management processes, largely through unequal, insecure, or unclear tenure rights. Hence, there is a significant risk that the implementation of REDD+ could exacerbate existing inequalities for women. 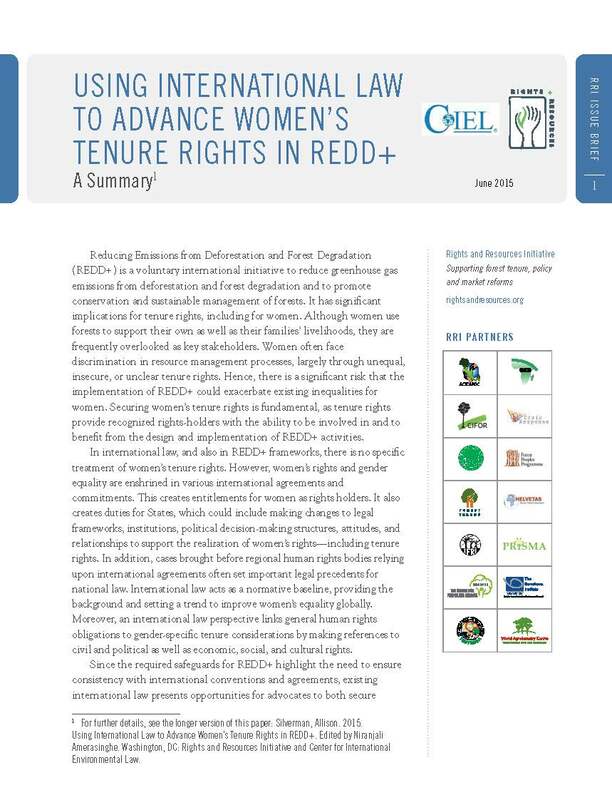 Securing women’s tenure rights is fundamental, as tenure rights provide recognized rights-holders with the ability to be involved in and to benefit from the design and implementation of REDD+ activities.